On view through May 12. 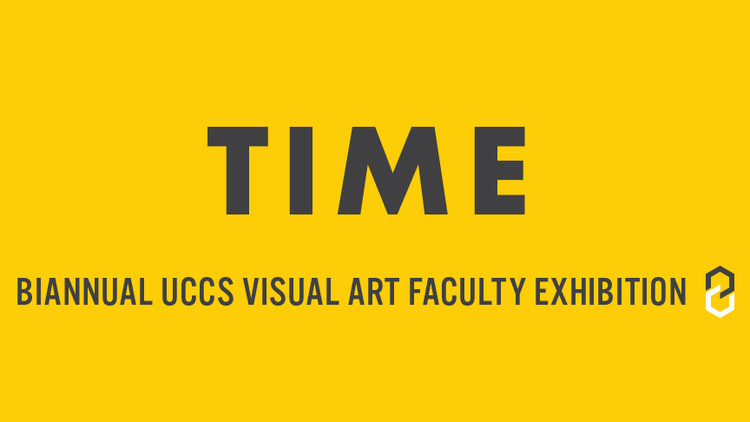 The biannual UCCS Visual Art faculty exhibition celebrates and investigates the work of contemporary artists serving as educators at UCCS. GOCA has championed conceptually innovative projects in its exhibition spaces for the past 37 years, inviting artists from this region and beyond to manifest their visions in collaboration with our students, faculty and staff. For this exhibition, we invited our faculty to respond to a theme that is connected to the biannual POLLINATE festival the exhibition is part of – TIME. Time is both a physical dimension of our universe and a marker of change. Beyond the ticking of seconds in a minute, minutes in an hour and beyond, time is also the accumulation of history, the forward march of ever-faster connections through contemporary technologies, and the incremental tedium of everyday experience. Contemporary art and artists have responded to time not as a unitary subject or theme, but in a multi-faceted way that’s as diverse as contemporary art itself. Works in this exhibition span a broad range of media and concepts – painting, drawing, sculpture, sound installation, kinetic works, time-based media and performative happenings are all represented. The artists were invited to exhibit new or recent work connecting to overarching theme.